The new terminal, coming up under the Phase II modernisation programme, would be able to handle the increase in arrivals and departures, he said. 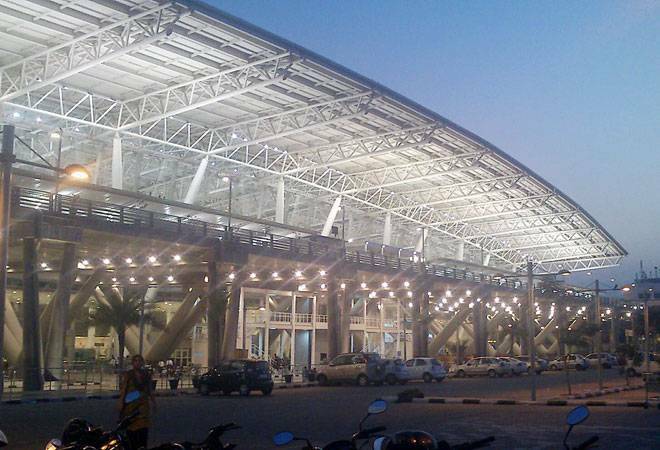 A new terminal with parking bays for aircraft and a multi-level car parking facility would be set up at a cost of Rs 2,500 crore under phase II of the Chennai airport modernisation programme, an AAI official said Friday. "We are going to develop a new terminal at a cost of Rs 2,500 crore and it will be ready in 42-45 months. That is our anticipation", Airport Director, Airports Authority of India (Chennai), G Chandramouli, told reporters. He said passenger traffic has witnessed a 20 per cent growth in the last three months and if this trend continued, the existing terminal would not be able to handle it. Asked how funding for the modernisation programme would be done, AAI, Member (Finance) S Suresh said 60 per cent would be from borrowings and 40 per cent through internal resources. "With regard to the borrowings, AAI will study the market before deciding whether to go for project loans or for an issue through domestic bonds," he said. Suresh pointed out that the union government had last week approved Rs 9,430 crore to be taken as loan in the next five years, for modernisation of airports. "For this fiscal, they have sanctioned Rs 1,500 crore", he said. To another query, Chandramouli said, demolition of the existing domestic terminal has been completed to an extent. "Larsen and Toubro have started excavation work. Site preparation has started. Getting approval from the State Pollution Control Board is in final stages", he said.